You, a year ago. Where were you? What were you doing? How much has your life changed in just a year? A holiday abroad was off the cards for many reasons this year. For one, with my due date being mid-July (aka peak holiday season), we would have had to go quite early for me to be able to fly. For two, I didn’t fancy negotiating a bump, loads of baggage and a toddler through an airport. I’m so tired all the time and the main goal with getting away was just for everything to be as STRESS-FREE as humanly possible. I think we managed that with our four day break to Centre Parks in Sherwood Forest. Just a 40 minute drive away from our house (although we did run into the most horrendous traffic jam on the way that occasioned a mad dash out of the car with a wailing child that needed a wee RIGHT NOW MUMMY) and with everything designed to be extremely child-friendly, it worked out well. My main reservation with UK breaks is that the weather is generally awful. But the gods smiled on us this time, because we had a week of sunshine to enjoy which made a big difference. We loaded up the car with as many toy cars, story books, cuddly animals and favourite foods as any toddler could want and made our way to our cabin in the woods. I’ve been to Centre Parks as a day guest, but never stayed, but I was pleasantly surprised by the amenities - comfy beds, a dishwasher, a proper bath - not what I think of when someone mentions it. And actually? We had a really magical week of family time, playing in the swimming pool, eating ice-creams on the little beach, walking through the woods and feeding the squirrels that camped out on our patio. Okay, I’m not quite a housewife yet (my maternity leave begins on 5th July, eek!) but we have been working hard on the house lately, keeping up with the never-ending round of improvements needed. Our house is what an estate agent might optimistically term a ‘project’, and we’ve been turning it from three flats back into one family home, one job at a time. Annoyingly enough, a lot of the stuff that costs huge amounts and is very necessary is also quite mundane and invisible! We’ve just had the roof replaced (there’s £9k I won’t get to spend on designer clothes…) which is something that needed doing but doesn’t look a whole lot different, but we did have some skylights put in at the same time. That has made the top floor so much more airy and attractive. It’s the first step towards our eventual plan to turn the third floor into a master suite with a bedroom, bathroom and dressing room, which is more exciting. We also finally had a new front door fitted, creating an enclosed porch. There’s nothing that gets my inner grandma raging as much as muddy shoes dumped in the hallway, so that’s something I’ve been wanting us to do for ages. The new front door has really facelifted the front of the house as well, plus I have always wanted an old school lion door knocker, like this one we’ve just ordered from Liberty, so I’m happy. We also added this beautiful wallpaper to jazz up the upstairs hallway - the design is ‘Woods’ from Cole and Son. I have wanted this wallpaper for literally years, since spotting it in an interiors magazine. It's definitely added impact to the hallway. Next on the list, there was a makeover for the downstairs hallway with new light fittings and this gorgeous Graham and Brown Linden wallpaper on the ceiling with some new wooden flooring. We wanted to keep the hallway walls all white, as it's quite dark, but adding patterned wallpaper to the ceiling has been a really great trick for sneaking in some colour and pattern, while still keeping it light and airy. Our next project, of course, is getting the nursery sorted, which is still just a dumping ground for old junk at the moment. We’ve also appointed an architect to add the ground floor extension which will turn our tired kitchen into a large kitchen and family room with a little utility room tucked off the side, and although building won’t start until next spring, that will make a big difference to the house. Our chickens are a big part of our family life - pets that give us a lot of joy, and a few eggs. But there’s been quite a drastic change in the line up. We kept two hens, Bardot and Hepburn, that had gotten to about three years old. That’s sort of middle aged in chicken terms, they can live to about five or six. Bardot, the cheekier one, died suddenly - Sebastian went out to the coop one morning and she wasn’t moving. It’s a part of life and pet ownership but it was upsetting. Hepburn looked lonely all on her own - hens are flock animals and really social - so a couple of weeks ago we headed off to a farm and got two new hens, which we’ve called Antoinette and Arabella. Of course there was a day or so of friction while they settled the literal pecking order, but things calmed and they were getting along well to all appearances. Then I came home one day, and Hepburn had suffered a prolapsed vent (don’t Google that unless you’re really into gore). It looked absolutely horrific. We followed advice to treat it - it’s sort of like hemorrhoids times ten. Sometimes it can heal itself, sometimes the vet can put a stitch in to hold the prolapse in place or sometimes they suggest euthanizing the hen. It was too late that evening to make the vet’s, so we disinfected her, separated her from the other two and settled her down, but sadly the next morning she had died too. It was really upsetting to see her in a bad way, and I feel a little guilty because she hadn’t laid in over a year and I wonder if she’d caused the prolapse straining to produce eggs to ‘compete’ with the other two younger hens. We didn’t know how to tell Theo as he’s so young, but he understands more than we thought and had asked about Hepburn specifically several times. Obviously growing up with pets teaches you something about loss - that’s part of the reason it’s important - but it’s very hard to phrase it so that he’ll understand at that age. So we’re down to two hens again, but when we extend the house and move the coop, we’re considering turning it into an aviary and getting more birds. Were you into the Royal Wedding fever? Whatever views you hold on the monarchy, it was a gorgeous day filled with cute moments for the happy couple. I’ve been a fan of The Markle’s personal style for a few years, since I got into Suits and Hazza seems like he’d be nice enough to sink a few gins with, so good luck to them both. The road where we live held a Royal Wedding street party, and it was just such a happy occasion. The street was closed off to traffic and we laid out big tables, everyone brought food and drink (Theo and I made these royal wedding cupcakes together to share), and we had the wedding on the big screen, followed by some of our neighbours providing live music, which really made it seem like a party! The sun shone all day and all the kids on the street were playing together, chalking things on the pavement and rolling up and down with scooters and toy cars. We’re friends with some of the neighbours so it was great to have a catch up with them and also to meet some others we haven’t before. The whole thing was a huge success and there was a lot of support for trying to turn it into an annual event! The nicest touch for me had to be meeting one of our older residents, Liz. She told me that years ago, she’d known everyone on the street, but for the past few years that hadn’t been the case - and now she felt like she knew the neighbours again. I promised that I’d take the new baby to see her when she’s born. Seriously, I have a lot of love for the neighbourhood I live in, which is a small section of a suburb bounded by a country park on one side and the river on the other, so it will never grow any larger. Despite being ten minutes away from the city, it has a very villagey, semi-rural feel with some great local independent businesses and even though it's a small area, there’s so much going on from the community - we have our own Arts Festival, Safari Sale, Open Gardens event and more. A few people I met who lived there before we moved in said that once you live here, you never want to move, and I can see why! Last year, I took Theo for a day out at Drayton Manor Park, and he enjoyed it so much that Seb and I have been planning to take him back for a while. With his little sister on the way really soon, we wanted to have a day out just the three of us, so we headed back there. There’s so much for kids of his age to do, and it's only a 45-minute drive from where we live, which is ideal. Theo loved all the rides at Thomasland and there’s a small zoo there also that he was really taken with, especially the Sumatran tigers which he watched for ages, and a Lynx he called ‘beautiful’. We’re really trying to enjoy our last moments as a family of three, as I know things might be chaotic for a while once the baby arrives. So I haven’t had the chance to do regular pregnancy updates on the blog - life with a toddler and full-time job can be rather full-on - but generally, things have been going well. I’m at the stage now where I’m just tired all the time and a bit uncomfortable, getting impatient as these last few weeks unfurl, although at the same time I also feel that they’re racing by. My maternity cover at work has now been appointed, and it feels better to know there’s someone waiting in the wings to hand over to. I’ve been very lucky to be mostly fit and well throughout, as I was with Theo. The problems I had with my sacral nerve haven’t reappeared thank goodness, after my session with the obstetric physiotherapist who was enormously helpful. She spent a lot of time with me, teaching me moves and exercises to help relieve and prevent the pain, and gave me a brace I can wear if my spine gets bad again - and touch wood, since then it's all been fine. Theo is very excited about his little sister. He likes to offer my tummy a bite of whatever he’s eating, and if there’s music, he’ll point at my tummy and say ‘Baby dancing!’. He also likes to give my tummy a goodnight kiss! I’m sure there will be tough moments ahead, but I’m really hoping that we can reassure him and make the new baby something joyful for him rather than unsettling him. I've read quite a few good books lately! It’s mainly down to the BookBub email alert service I’ve mentioned before, which tells you about 99p special offers on ebooks in your chosen genres and actually really does deliver some great recommendations. ‘Sourdough’ by Robin Sloan was a nice, heartwarming little tale about a Silicon Valley programmer who gives up her career to bake artisan bread at a cutting edge gourmet market - it doesn’t sound thrilling, and I was unsure if I’d like it, but I quickly got drawn in by the warm, engaging writing. Then it was ‘Three Wishes’ by Liane Moriarty, the author behind ‘Big Little Lies’. It tells the tale of three triplets and the secrets that interweave their lives, and it was an absolute page turner - I definitely want to read all her others now! ‘Mrs Saint and The Defectives’ by Julie Lawson Timmer was about a recent divorcee and her son who move in next door to a very eccentric little old French lady and her rag tag group of employees that end up changing their lives in ways they couldn’t have imagined. Not much TV watching has happened lately, perhaps because of all the books I’ve been reading and the fact that I’ve been going to bed ridiculously early. I spend a lot of my evenings curled up on Theo’s bedroom floor trying to get him to sleep and by the time I emerge, I’m ready for bed myself and tend to fall asleep mid-programme if I try and watch anything. 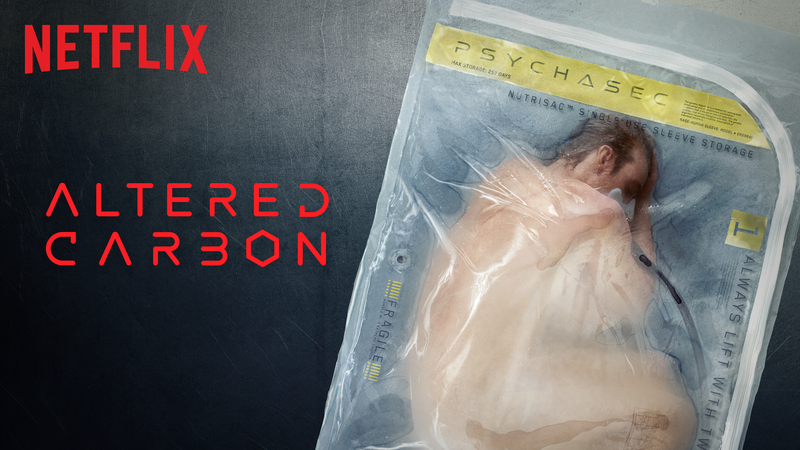 We have just finished the Netflix series ‘Altered Carbon’ though, which we’ve been working our way through for a while. It’s a sci-fi along the lines of ‘Blade Runner’ set in a dystopian future, where people can download their memories into a cortical stack and use them in human or synthetic bodies referred to as ‘sleeves’. A famous mercenary wakes up 250 years after his ‘death’ in a new body, resurrected to solve a crime. It’s a great series and very beautifully shot. It’s been more about singles than albums for me at the moment. 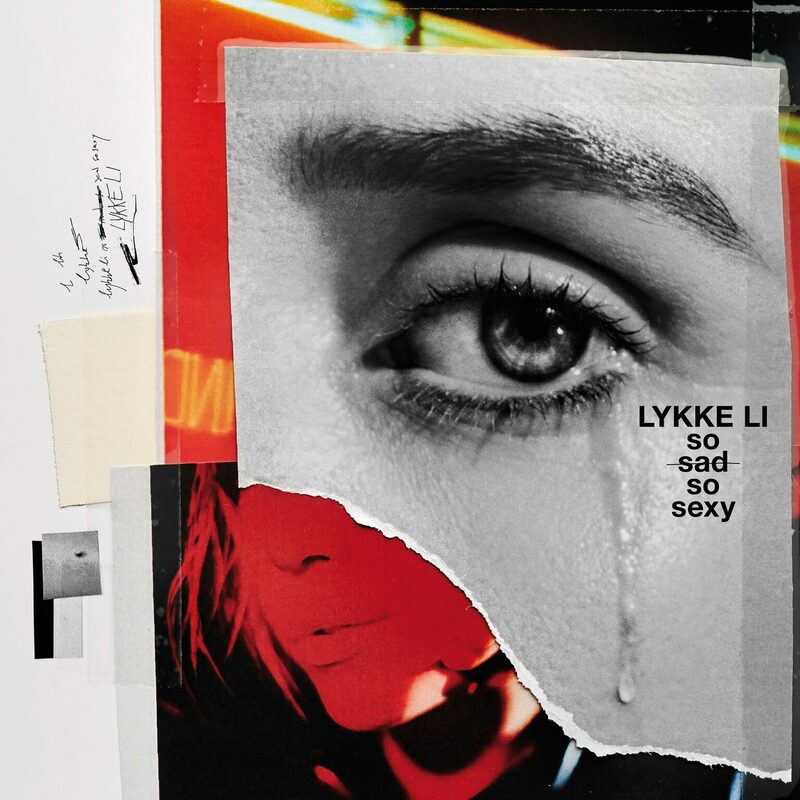 I’ve really been enjoying ‘Deep End’ by Lykke Li on the drive home, as well as ‘After Dark’ by The Count & Sinden ft Mystery Jets. Both great tunes that will be staples of my summer playlist. It’s more of an EP than a full album , but ‘Untitled 1’ Minerva Confidential is my new obsession. It’s beautiful atmospheric sort of electronic RnB - not really sure what category it fits into, but it's perfect for hazy summer days! And that’s my world at the moment. Have you gone anywhere great lately, or read anything gripping? Let me know!